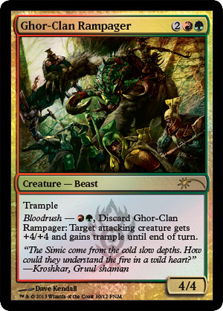 At end of turn, if Whirling Dervish dealt damage to an opponent this turn, put a +1/+1 counter on it. 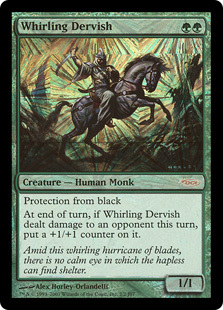 At the beginning of each end step, if Whirling Dervish dealt damage to an opponent this turn, put a +1/+1 counter on it. 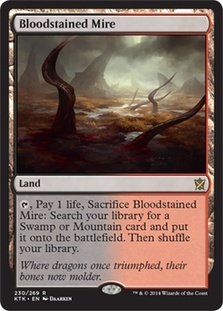 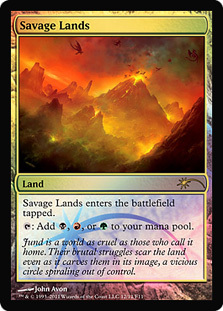 Flavor Text: Amid this whirling hurricane of blades, there is no calm eye in which the hapless can find shelter.